/ News / 2016 Auto Sales: Is This, Finally, the Peak? 2016 Auto Sales: Is This, Finally, the Peak? You could drive last year’s sales of the Acura MDX through it — the increase in U.S. car and light truck sales in calendar year 2016 versus the previous record set just a year earlier, that is. Acura sold 55,495 MDXes in ’16. The U.S. market bought or leased 56,211 more vehicles in ’16 than in ’15, according to Automotive News. Another record. Who imagined that? Sooner or later, sales trail off as the majority of new car consumers who need a new car have them. Analysts now are turning to calendar 2017 as the year in which sales will level off, probably below the 17-million level, but still in the high 16s. Automotive News says 2016 ended with 17,539,052 cars and light trucks sold, up 0.3 percent compared with 17,482,841 sold in ’15. Still, there are warning signs. As Americans turn away from traditional sedans and coupes in favor of sport/utility vehicles, mostly of the car-based crossover variety, luxury brands also are softening. Four of the top five luxury brands (see chart below) had sales declines in ’16 versus ’15, with only Audi posting a gain. Here’s one theory: Just as upper-middle class suburbanites favored Ford Country Squires over more expensive Chrysler Town & Countrys in the 1960s and ‘70s, because station wagons were more costly than conventional sedans, I’m guessing entry-luxury customers are finding well-equipped, leather-clad Fords and Toyotas and Nissans decent alternatives to BMW 3 Series and their like. But that’s just a theory. Below, you’ll find how some of the big player mainstream commodity and premium models did in calendar ’16 versus calendar ’15. I’ve thrown in a few halo/specialty models as well, from the Nissan Leaf and Chevy Volt to the Mazda Miata and Subaru BRZ. Later this month, I’ll look at sales of a few of the specialty and sports cars, the outliers that barely show up on automakers’ ledgers but make a big difference to you and me. Most of the cars and trucks listed below are the high-volume, high-profit model that make the halos economically possible. General Motors: 3,042,775, off 1.3 percent. GM was up 10 percent, to 319,198 for December. Chevrolet sold 2,096,510, off 1.4 percent for the year. Buick was up 2.9 percent, to 229,631 for the year. GMC was off 2.2 percent, to 546,628 for the year. Cadillac’s full-year sales totaled 170,006, off 3 percent. Chevy sold 188,876 Cruzes, off 16.6 percent, and 242,195 Equinoxes, off 12.8 percent. Big Chevy gainers among volume models were Colorado, up 28.8 percent, to 108,275, Suburban, up 18.1 percent to 60,082, Tahoe, up 16.9 percent to 103,306 and Malibu, also up 16.9 percent, to 227,881. Chevy sold 29,995 Corvettes, off 10 percent, and 24,739 Volts, up 60.7 percent. There were 579 Chevy Bolt EVs sold in December, its first retail month. Buick sold 78,565 Encores, up 16.3 percent, 52,028 Enclaves, off 16.2 percent, and 14,193 Envisions (new). On the car side, Buick Verano was off 5 percent, to 30,277, Regal was up 1.7 percent, to 19,833, and LaCrosse was off 34.4 percent, to 27,582 amidst a model changeover. Chevrolet sold 574,876 Silverados, off 4.3 percent, and GMC sold 221,680 Sierras, off 1.1 percent, for a combined 796,456. GMC also sold 87,925 Terrains, off 21.5 percent, and 88,466 Acadias, off 8.2 percent. But GMC Yukon was up 25.1 percent, to 53,447 and Yukon XL was up 18.3 percent, to 37,054. 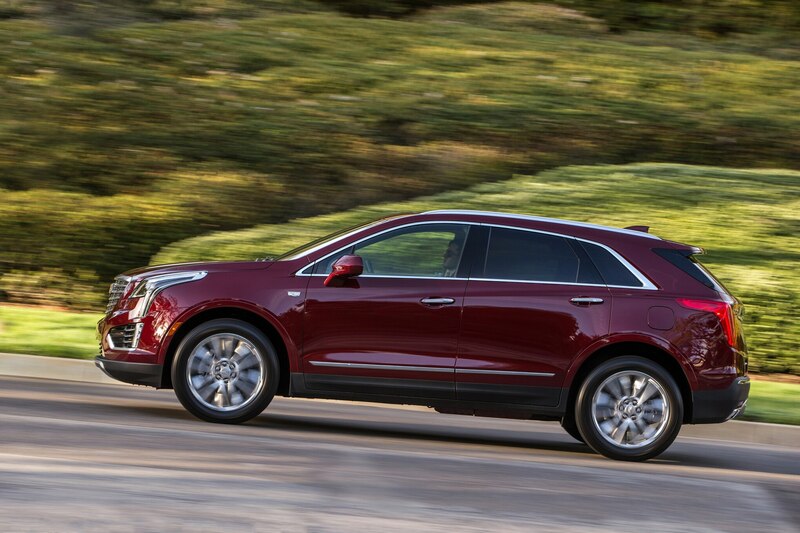 Cadillac XT5 led the luxury brand’s sales, at 39,485. Combined with leftover SRX sales of 22,139, the compact-midsize SUV’s sales totaled 61,624, off 10.5 percent from 2015’s SRX sales. Cadillac ATS was off 20 percent, to 21,505, and CTS was off 18.3 percent, to 15,911. Cadillac sold 9,169 CT6es. Escalade was up 11.2 percent, to 23,604, and Escalade ESV was up 5.4 percent, to 15,488. Sales of GM’s large, body-on-frame utilities totaled 293,011, up 17.6 percent. There will be bonuses at GM. Ford Motor Company: 2,614,697, up 0.1 percent. FoMoCo was up 0.3 percent in December, to 239,854 for the month. 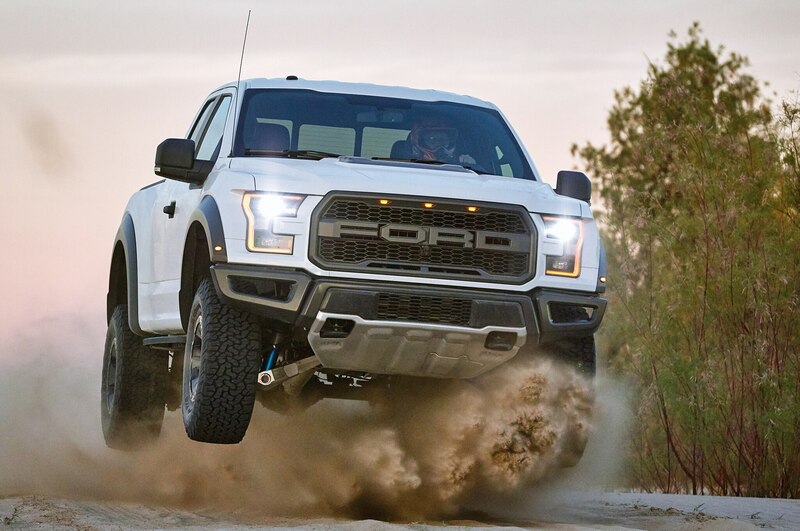 Ford brand was off 0.4 percent for the year, to 2,502,973. Lincoln was up 10.4 percent, to 111,724. Pony Car Wars for 2016: Ford Mustang sold 105,392, off 13.4 percent. Chevy Camaro sold 72,705, off 6.2 percent, and Dodge Challenger came in at 64,433, off 3 percent. Ford F-Series was the nation’s bestseller again, up 5.2 percent, to 820,799. Fusion was off 11.4 percent, to 265,840. Escape sales rose 0.2 percent, to 307,069. Focus was off 16.6 percent, to 168,789. Explorer was off 3.6 percent, to 216,294. Cops bought 32,213 Police Interceptor Utilities, up 29.2 percent, and 9,472 Police Interceptor Sedans (Taurus), off 3 percent. Civilian Taurus sales dropped 11.3 percent, to 34,626. Transit sales rose 21.8 percent, to a healthy 143,244. MKX was Lincoln’s bestseller, up 39.5 percent, to 30,967, but that barely edged out MKZ, off 1.2 percent, to 30,534. MKC was up 4 percent, to 25,562. Lincoln sold 5,261 new Continentals and 4,951 discontinued MKSes (off 28 percent). Toyota Motor Sales: 2,449,630, off 2 percent. Was up 2 percent, to 243,339 for December. Toyota division was off 1.7 percent, to 2,118,402, while Lexus was off 3.9 percent, to 331,228 for 2016. 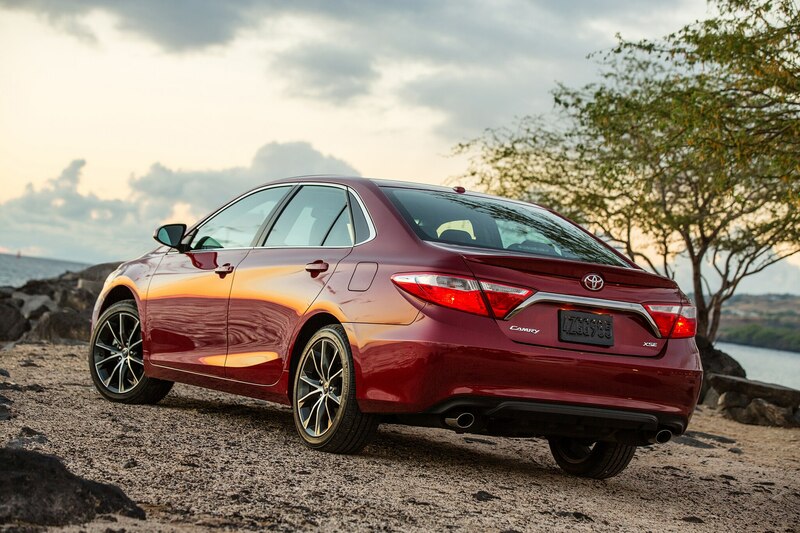 Camry is still the company’s bestseller, at 388,618, off 9.5 percent. Corolla was up 2.7 percent, however, thanks in part to the Corolla iM, to 378,210. RAV4 was next, up 11.6 percent, to 352,154. Prius was off 26.1 percent, to 136,632. Highlander was up 20.4 percent, to 191,631, while Sienna was off 7.1 percent, to 127,791. 4Runner was up 15.4 percent, to 111,970. Tacoma sales rose 6.7 percent, to 191,631, and Tundra was off 2.9 percent, to 115, 489. RX led Lexus sales, up 8.8 percent to 109,435. NX was up 25.4 percent, to 54,884. ES was Lexus’ bestselling car, off 10.3 percent, to 58,299. IS was off 19.7 percent, to 37,289. FiatChrysler: 2,244,315, a 0 percent change (-8,562 units). Sold 192,512 in December, off 10 percent. Jeep was up 6 percent for the year, to 926,736. Grand Cherokee was up 8 percent, to 212,273. Cherokee was off 10 percent, to 199,736. Wrangler was off 5 percent, to 191,744. Renegade was up 75 percent, to 106,606. Ram brand was up 11 percent, to 545,851. Ram pickup was up 9 percent, to 489,418. ProMaster van was up 45 percent, to 40,440. Dodge was off 4 percent, to 506,858. Dart was off 51 percent, to 43,402. Journey was off 1 percent, to 106,578. Caravan was up 26 percent, to 127,678. Charger was off 1 percent, to 95,437. Viper was off 9 percent, to 630. Chrysler was off 27 percent, to 231,972. Chrysler sold 62,366 new Pacificas, and 59,071 Town & Countrys, the latter off 39 percent. 300 was flat, up 216 units, to 53,241. 200 was off 66 percent, to 57,294. Fiat was off 24 percent, to 32,742. 500 was off 36 percent, to 15,437. 500X was up 3 percent, to 11,712. Fiat sold 2,475 of its new 124 Spiders. Alfa Romeo was off 22 percent, to 516. Alfa sold 36 of its new Giulia sedans. 4c sales fell 27 percent, to 480. American Honda, 1,637,942, up 3.2 percent. Honda and Acura were up 6.4 percent, to 160,477 for December. Honda division sold 1,476,582 units last year, up 4.8 percent, and Acura sold 161,360, off 8.9 percent. Accord was off 2.9 percent, to 345,225, and Civic overtook the midsize car as Honda’s bestseller, up 9.4 percent, to 366,927. But Honda expects CR-V to be its bestseller in 2017. In ’16, it was up 3.4 percent, to 357,335 to place between Civic and Accord. HR-V was up 95.5 percent, to 82,041, and Fit was up 7.4 percent, to 56,630. Odyssey was off 5.4 percent, to 120,846. Honda moved 23,667 new Ridgelines. It sold 520 of the old leftovers in ’15. 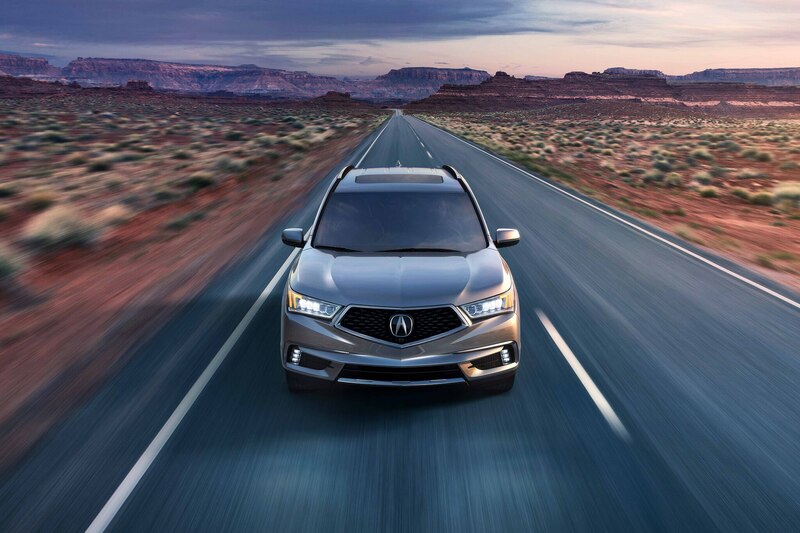 MDX led Acura, though off 4.7 percent, to 55,495, with RDX up 2.6 percent, to 52,361. TLX was Acura’s bestselling sedan, at 37,156, off 21.1 percent. Nissan Group: 1,564,423, up 5.4 percent. Up 9.7 percent for December, to 152,743. Nissan division sold 1,426,130, up 5.5 percent, and Infiniti was up 3.6 percent, to 138,239. 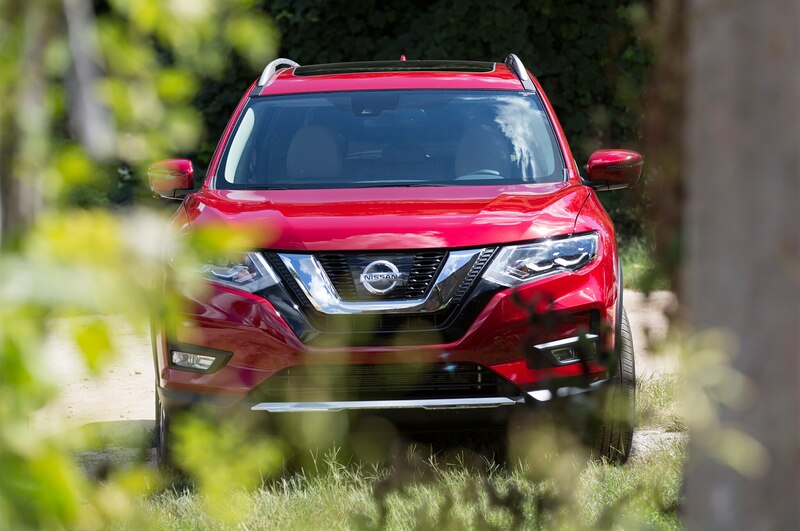 Rogue became Nissan’s bestseller, with a 14.9 percent increase to 329,904. Altima was off 7.8 percent, to 307,380. Sentra was up 5.5 percent, to 214,709. Pathfinder was off 0.4 percent, to 81,701 and Titan was up 80.2 percent, to 21,880. Leaf was off 18.9 percent, to 14,006. Q50 was Infiniti’s bestseller, up 0.3 percent, to 44,007. QX60 was next, up 0.8 percent, to 42,120. QX50 was up 210.4 percent, to 16,793, and QX80 was up 7.2 percent, to 16,772. Hyundai: 775,005, up 1.8 percent. Was off 1.9 percent, to 62,305 for December. Hyundai brand was up 0.8 percent, to 768,057, and the new Genesis luxury channel sold 6,948 cars last year. Elantra was Hyundai’s bestseller, at 208,319, off 13.8 percent, but the company continued to increase production of the Santa Fe/Santa Fe Sport, which was up 11.1 percent, to 131,257. Sonata was off 6.5 percent, to 199,416. Kia: 647,598, up 3.5 percent. Another record year for Kia in the U.S., though Subaru is catching up, having beat Kia several months last year, including December. Kia’s December sales totaled 54,353, up 0.2 percent. Soul grabbed the brand’s bestseller title from Optima, off 0.9 percent, to 145,768. Optima was off 22.1 percent, to 124,203. Sorento was off 1.3 percent, to 114,733. Forte was up 30.9 percent, to 103,292. Subaru: 615,132, up 5.6 percent. Brand recorded its eighth straight year-over-year sales increase. 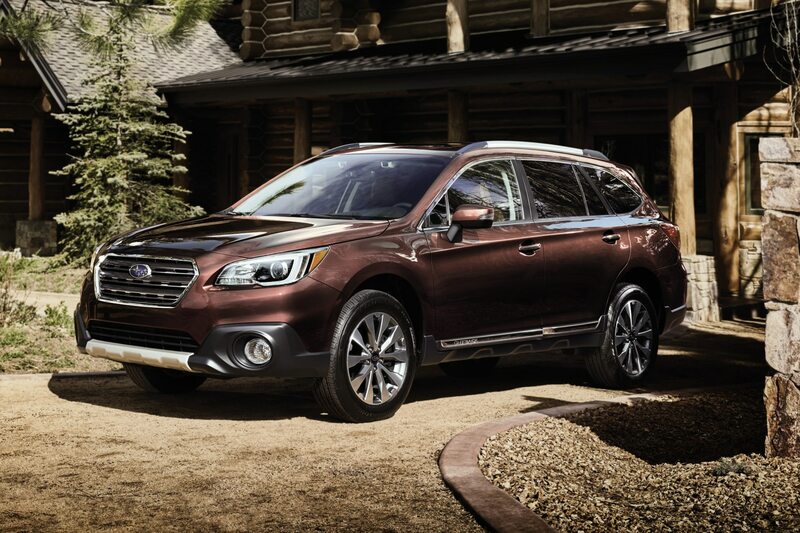 For December, Subaru sold 63,177, up 12.3 percent. Outback sales rose 20.1 percent, to 182,898. Forester was next, up 1.9 percent, to 175,192. Crosstrek was up 7.6 percent, to 95,677. WRX/STI sales fell 1.4 percent, to 33,279, while BRZ dropped by 21.8 percent, to 4,141. Mercedes-Benz USA: 380,752, up 0.1 percent. Mercedes, smart and the vans totaled 37,057 in December, off 4.8 percent. The Benz brand was off 0.8 percent, to 340,237 for the year. Smart was off 17 percent, to 6,211, and Mercedes vans were up 14.8 percent, to 34,304. C-Class again was Mercedes’ bestseller, off 10.4 percent, to 77,167. E-Class/CLS was off 8.9 percent, to 50,896, and CLA-Class was off 13 percent, to 25,729. GLE-Class led Benz SUVs, off 8.7 percent, to 51,791, though GLC-Class was catching it, up 71.6 percent, to 47,872. GL-Class sold a healthy 30,442, up 9.9 percent. BMW Group: 365,204, off 9.7 percent. December sales for BMW and Mini totaled 37,493, off 5.4 percent. BMW brand was off 9.5 percent for the year, to 313,174. Mini was off 11.1 percent, to 52,030. 3 Series plunged 25.5 percent, to 70,458, and 4 Series was off 22.4 percent, to 35,763, for a combined 106,221. X5 was off 13.4 percent, to 47,641, while X3 was up 38.4 percent, to 44,196. Mini Countryman was the brand’s bestseller, at 12,706, off 23.9 percent. Clubman was up 2541.6 percent, to 12,204. The 2-door Hardtop was off 43.1 percent, to 11,264, and the 4-door Hardtop was off 26.4 percent, to 11,174. Volkswagen: 322,948, off 7.6 percent. December sales were up 20.3 percent, to 37,229. Jetta was off 7.6 percent, to 121,107. Golf was off 5.5 percent, to 61,687. Passat was off 6.7 percent, to 73,002. Beetle was off 30.9 percent, to 15,667. 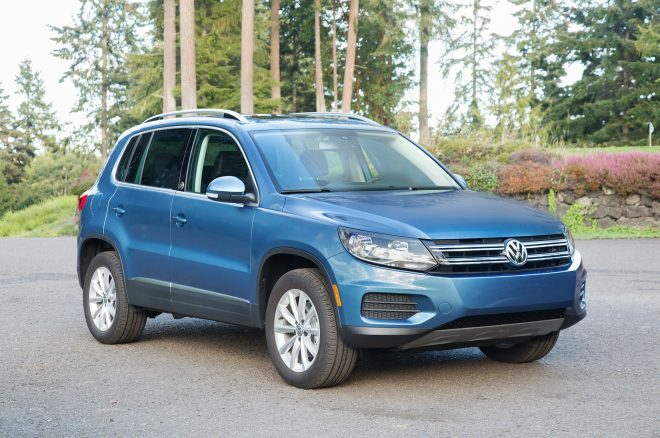 Tiguan sales rose 21.7 percent, to 43,638. Mazda: 297,773, off 6.7 percent. Mazda was off 1.8 percent, to 28,754 for December. CX-5 was the bestseller, and was up 0.7 percent, to 112,235. CX-9 was off 11.1 percent due to the model changeover, to 16,051. CX-3 was up 189.7 percent, to 18,557. Mazda3 was off 11.4 percent, to 95,567, and 6 was off 21.4 percent, to 45,520. MX-5 Miata was up 10.2 percent, to 9,465, in the ND’s first full year of sales. Combined with the Fiat 124 Spider, the sports car platform moved 11,940 in the U.S. last year. Audi: 210,213, up 4 percent. A4 was up 19.6 percent, to 34,687 to overtake A3, off 12.4 percent to 31,538. But Q5 ruled, off 4.7 percent to 49,550. The big, expensive Q7 was up 60.9 percent, to 30,563 and Q3 was up 51.5 percent, to 20,048. TT was up 160.8 percent, to 3,044. Jaguar/Land Rover: 105,104, up 24 percent. 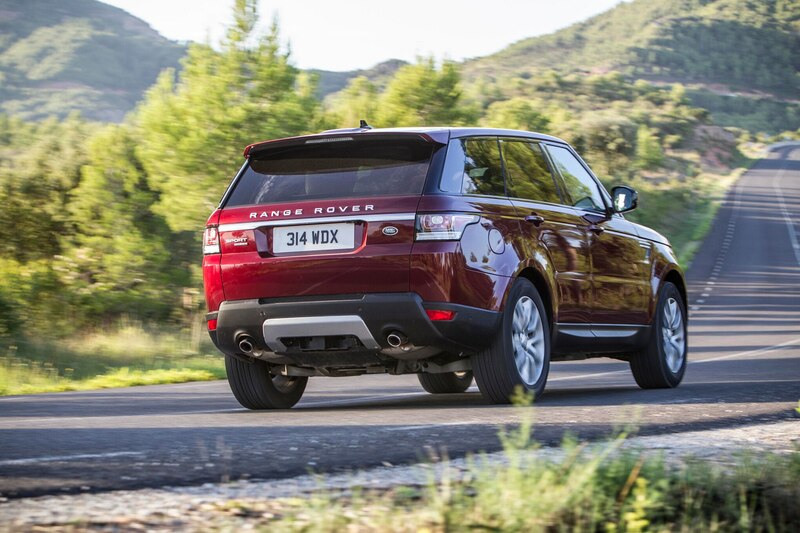 JLR was up 30 percent in December, to 12,573. Land Rover was up 5 percent, to 73,861 for the year, and Jaguar was up 116 percent, to 31,243. Range Rover Sport was LR’s bestseller, up 0.7 percent, to 21,612. Discovery Sport was up 8.7 percent, to 14,243. XF was up 12 percent, to 6,665. Jaguar sold 6,656 XEs and 10,016 of its new bestseller, the F-Pace. Mitsubishi: 96,267, up 1 percent. December was off 6.4 percent, to 7,383. Last year was Mitsubishi’s best since 2008. Outlander Sport was off 10.5 percent, to 33,067, but Outlander was up 39.5 percent, to 26,576. Mirage was up 3.3 percent, to 22,226. Volvo: 82,724, up 18.1 percent. December sales were 10,129, up 8.4 percent. Forget Volvo wagons. It’s an SUV company now. Bestseller XC90 was up 156.8 percent, to 32,526. XC60 was off 21.7 percent, to 20,452, but together they accounted for nearly 2/3 of Volvo’s U.S. sales. S60 took 14,218, off 14.9 percent. Volvo sold 2,756 of its new S90s. Porsche: 54,280, up 4.1 percent. December sales totaled 4,015, up 2 percent. 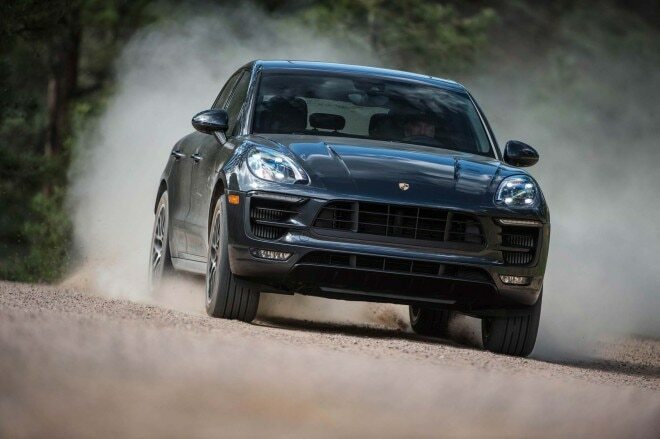 Macan led sales at 19,332, up 42.9 percent. Cayenne was off 6.6 percent, to 15,383. 911 was off 10.1 percent, to 8,901. Boxster/Cayman was off 6 percent, to 6,260.